SciCentral: Earth and Space Sciences Online. 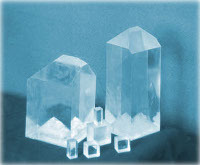 Jinan Jingyi Photonics Technology Company, China Makers of electro-optical crystals for lasers, Q-switches, etc. GEORGE CARLIN: a brilliant pioneer in humor and freedom of speech. Garrison Keeler's PRARIE HOME COMPANION as heard on NPR. A fascinating tale of the evolution of toilets, and of the poetry inspired by the subject of their function. There is also a museum of toilets in New Delhi. New words are born every day. an artistic webcam site by ANA. Red Meat--a great comic strip!